As you know CBSE recommends NCERT Books for class 12. That's why how textbook solutions is very important for studies and for your exam. 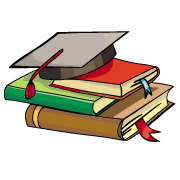 CBSE board exam are based on NCERT curriculum most of the question are asked from these books. 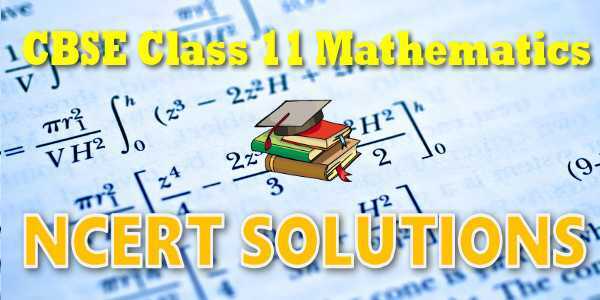 So, don't worry we are here you to provide NCERT solutions for class 11 Mathematics book solutions are available in PDF format for free download. These Chapter wise NCERT solutions for class 11 Mathematics solved by expert and experienced teachers at myCBSEguide. You can download Maths NCERT Solutions for all the chapters in our mycbseguide website and mobile app for free. Download NCERT Solutions for CBSE Class 11 Mathematics Sets Sets and their representations.Empty set.Finite and Infinite sets.Equal sets.Subsets.Subsets of a set of real numbers especially intervals (with notations). Power set. Universal set. Venn diagrams. Union and Intersection of sets.Difference of sets. Complement of a set. Properties of Complement Sets. Download NCERT Solutions for CBSE Class 11 Mathematics Relations and Functions Ordered pairs, Cartesian product of sets.Number of elements in the cartesian product of two finite sets. Cartesian product of the set of reals with itself (upto R x R x R). Definition of relation, pictorial diagrams, domain, co-domain and range of a relation. Function as a special type of relation. Pictorial representation of a function, domain, co-domain and range of a function. Real valued functions, domain and range of these functions, constant, identity, polynomial, rational, modulus, signum, exponential, logarithmic and greatest integer functions, with their graphs. Sum, difference, product and quotient of functions. Download NCERT Solutions for CBSE Class 11 Mathematics Trigonometric Functions Positive and negative angles. Measuring angles in radians and in degrees and conversion from one measure to another.Definition of trigonometric functions with the help of unit circle. Truth of the identity sin2x+cos2x=1, for all x. Signs of trigonometric functions. Domain and range of trignometric functions and their graphs. Expressing sin and cos in terms of sinx, siny, cosx & cosy and their simple applications. 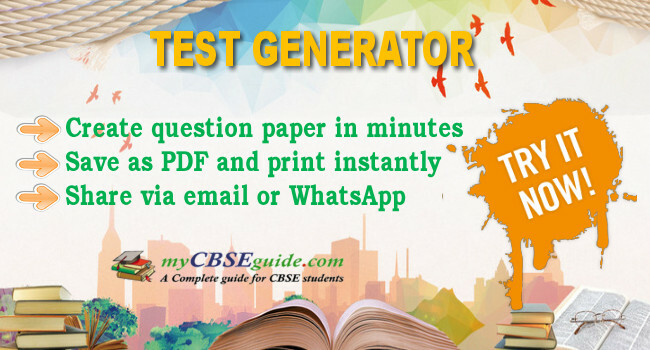 Download NCERT Solutions for CBSE Class 11 Mathematics Principle of Mathematical Induction Process of the proof by induction, motivating the application of the method by looking at natural numbers as the least inductive subset of real numbers. The principle of mathematical induction and simple applications. Download NCERT Solutions for CBSE Class 11 Mathematics Complex Numbers and Quadratic Equations Need for complex numbers, to be motivated by inability to solve some of the quardratic equations. Algebraic properties of complex numbers.Argand plane and polar representation of complex numbers. Statement of Fundamental Theorem of Algebra, solution of quadratic equations (with real coefficients) in the complex number system. Square root of a complex number. Download NCERT Solutions for CBSE Class 11 Mathematics Linear Inequalities Linear inequalities. Algebraic solutions of linear inequalities in one variable and their representation on the number line. Graphical representation of linear inequalities in two variables.Graphical method of finding a solution of system of linear inequalities in two variables. Download NCERT Solutions for CBSE Class 11 Mathematics Permutations and Combinations Fundamental principle of counting. Factorial n. (n!) Permutations and combinations, derivation and their connections, simple applications. Download NCERT Solutions for CBSE Class 11 Mathematics Binomial Theorem History, statement and proof of the binomial theorem for positive integral indices.Pascal's triangle, General and middle term in binomial expansion, simple applications. Download NCERT Solutions for CBSE Class 11 Mathematics Sequences and Series Sequence and Series. Arithmetic Progression (A. P.). Arithmetic Mean (A.M.) Geometric Progression (G.P. ), general term of a G.P., sum of first nterms of a G.P., infinite G.P. and its sum, geometric mean (G.M. ), relation between A.M. and G.M. Download NCERT Solutions for CBSE Class 11 Mathematics Straight Lines Brief recall of two dimensional geometry from earlier classes. Shifting of origin. Slope of a line and angle between two lines. Various forms of equations of a line: parallel to axis, point-slope form, slopeintercept form, two-point form, intercept form and normal form. General equation of a line.Equation of family of lines passing through the point of intersection of two lines.Distance of a point from a line. Download NCERT Solutions for CBSE Class 11 Mathematics Conic Sections Sections of a cone: circle, ellipse, parabola, hyperbola, a point, a straight line and a pair of intersecting lines as a degenerated case of a conic section. Standard equations and simple properties of parabola, ellipse and hyperbola. Standard equation of a circle. Download NCERT Solutions for CBSE Class 11 Mathematics Introduction to 3D Geometry Coordinate axes and coordinate planes in three dimensions. Coordinates of a point. Distance between two points and section formula. Download NCERT Solutions for CBSE Class 11 Mathematics Limits and Derivatives Derivative introduced as rate of change both as that of distance function and geometrically. Intutive idea of limit.Limits of polynomials and rational functions trigonometric, exponential and logarithmic functions. Definition of derivative relate it to scope of tangent of the curve, Derivative of sum, difference, product and quotient of functions. Derivatives of polynomial and trigonometric functions. Download NCERT Solutions for CBSE Class 11 Mathematics Mathematical Reasoning Mathematically acceptable statements. Connecting words/ phrases - consolidating the understanding of "if and only if (necessary and sufficient) condition", "implies", "and/or", "implied by", "and", "or", "there exists" and their use through variety of examples related to real life and Mathematics. Validating the statements involving the connecting words, Difference between contradiction, converse and contrapositive. Download NCERT Solutions for CBSE Class 11 Mathematics Statistics Measures of dispersion: Range, mean deviation, variance and standard deviation of ungrouped/grouped data. Analysis of frequency distributions with equal means but different variances. Download NCERT Solutions for CBSE Class 11 Mathematics Probability Random experiments; outcomes, sample spaces (set representation). Events; occurrence of events, 'not', 'and' and 'or' events, exhaustive events, mutually exclusive events, Axiomatic (set theoretic) probability, connections with other theories studied in earlier classes. Probability of an event, probability of 'not', 'and' and 'or' events. Maths ncert solutions contains 16 chapters. If you are preparing for entrance exam like JEE Mains you need to do lots of practice of Mathematics and have a deep knowledge of this subject .The class 11 maths NCERT solutions helpful for your exam to score well.